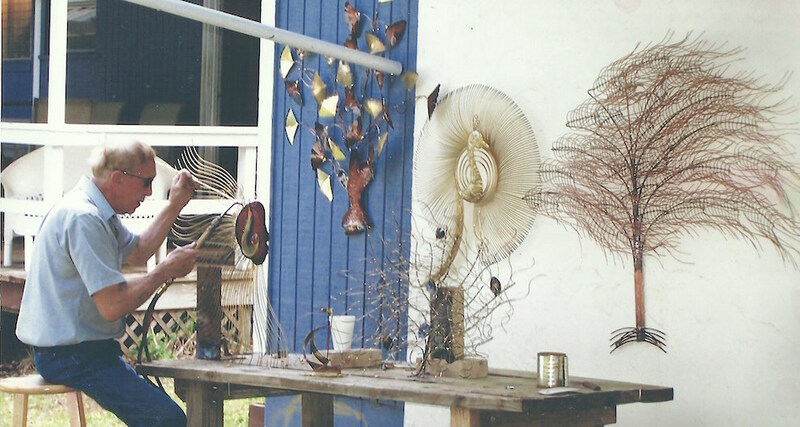 Glen Cove Metal sculptures is an independently owned metal craft business owned by Air Force veteran, Paul Tester. Paul retired from the USAF as an aircraft structural repair technician who also trained many other Japanese and German military personnel in metal working techniques. He eventually resided in Florida and started teaching in the Marion County School system. One day while disassembling a vehicle for repair with his students, Paul had an idea to make a metal ship sculpture from the scrap metal of the auto. 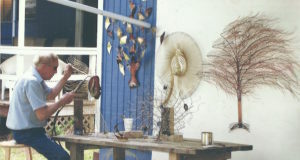 Hence the idea of metal artwork was born, and Paul has been creating metal art pieces for hundreds of customers ever since. He has created pieces for Universal Studios, Miller’s ale house, as well as many other businesses, colleges and offices. With the popularity of Glen Cove Metal sculptures increasing, Paul decided he would need assistants to help with the assembly of the artwork and customer service. Giovanna and Yesenia have been assisting Paul for over a decade, and Glen Cove Metal Sculptures has developed from one brilliant man’s idea to a family of expert artists that bring creative ideas to life. Paul always says “two heads are better than one”, so he is always open to new and innovative suggestions. His main objective is to provide the customer with an art piece they love and will be happy with for the rest of their life.